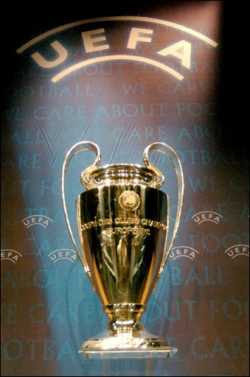 For the very first time in the history of UEFA Champions League which will be held in Luzhniki Stadium - Moscow on May 21, 2008. Two English Premiere League teams will meet in the finals. These teams are Manchester United FC and Chelsea FC, these two teams are the one of the dominating teams not only in the English Premiere League but also in European Football. 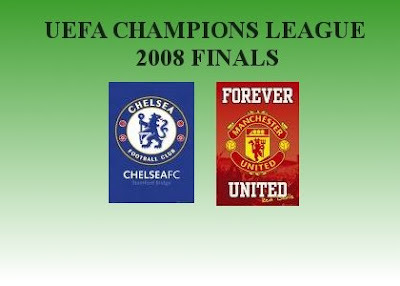 Manchester United FC had already had two Champions League Finals matches way back 1967 and 1998 wherein they were crowned as champions but, it's a different story for Chelsea FC, this years Champions League is their 1st exposure to the league's finals. This could become one of the most unforgettable matches ever in the Champions League knowing that the two teams both have very skillful players such as Christiano Ronaldo, Wayne Rooney, and Paul Scholes for Manchester United and Didier Drogba, Frank Lampard, and Michael Ballack for Chelsea. They also have two of the world's best goalkeepers which are Peter Cech(Chelsea) and Edwin Van der Sar(Manchester United). This could truly become a very entertaining showdown. .